la vie DIY: A Smoothie + Post Holiday Detox + More! A Smoothie + Post Holiday Detox + More! I have a very simple rule about berries. When they're on sale, I buy them. I don't care if I need them, I buy them. Berries are so insanely expensive that if they go on sale, they go home with me. Then, if I haven't got an immediate use for them, they go in the freezer. Freezing fresh, in season fruit has saved us tons of money (see bottom). 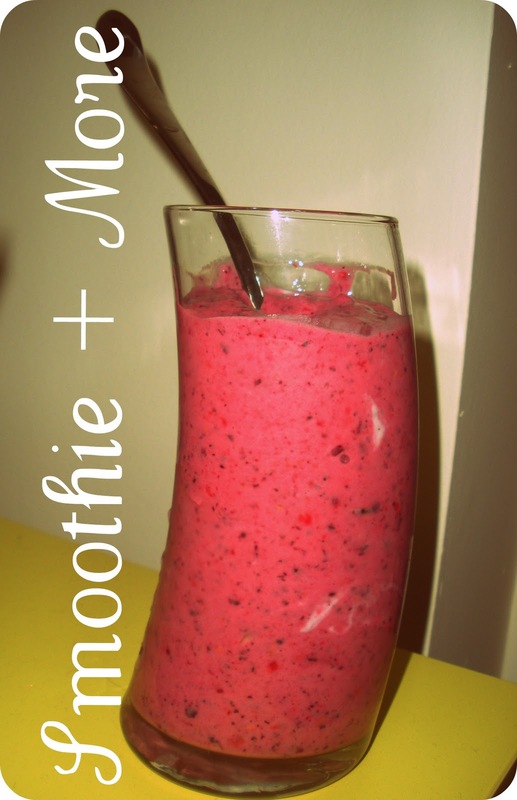 I like to use berries in baked goods, pies, jams, sauces and of course, smoothies. so, when I saw these fragrant raspberries on sale for $1.50, I had to get two cartons. My sister and I are doing a 28 day cleanse/detox to try to get our bodies back in a healthy state after the holidays. I don't know about you, but I definitely ate far too much junk this year :/ It's a great plan and if you're interested in learning more, CLICK HERE.. The first week includes several recipes for green and fruity smoothies. I really like smoothies because there really aren't many ways to mess them up! Toss in your favorite items and blend! However, if you want a little direction, keep reading. The recipe I'm including here isn't from the detox (and actually doesn't completely follow the rules...), but I really like it. 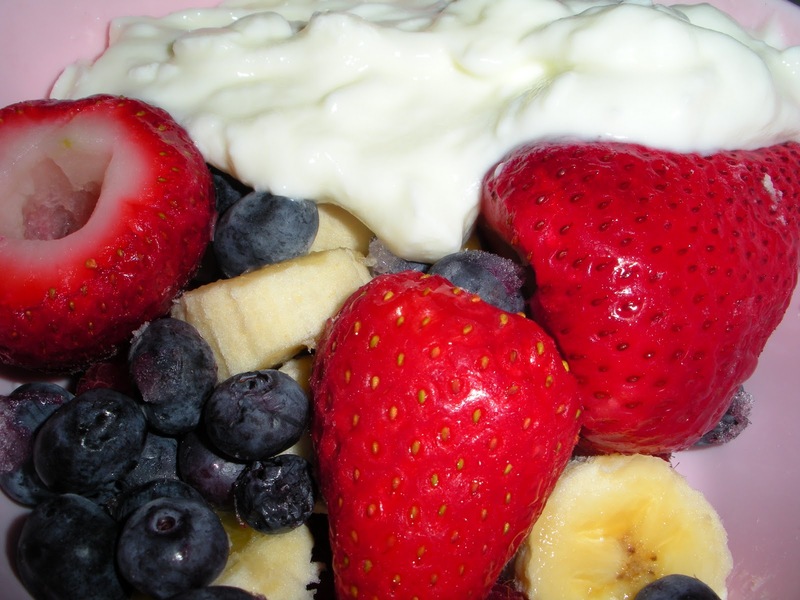 To make it rule abiding, omit the yogurt. It includes a mixture of fresh and frozen fruit. You can use either, I'll tell you in parenthesis what I used, but it isn't imperative that you use it in that medium by any stretch of the imagination. Toss together and blend! It was so delicious. You can see that this recipe yields one very tall smoothie! Double as necessary. If you want to enjoy it with a straw, I recommend these glass straws you can buy at AMAZON. I'm not a huge fan of plastic straws. 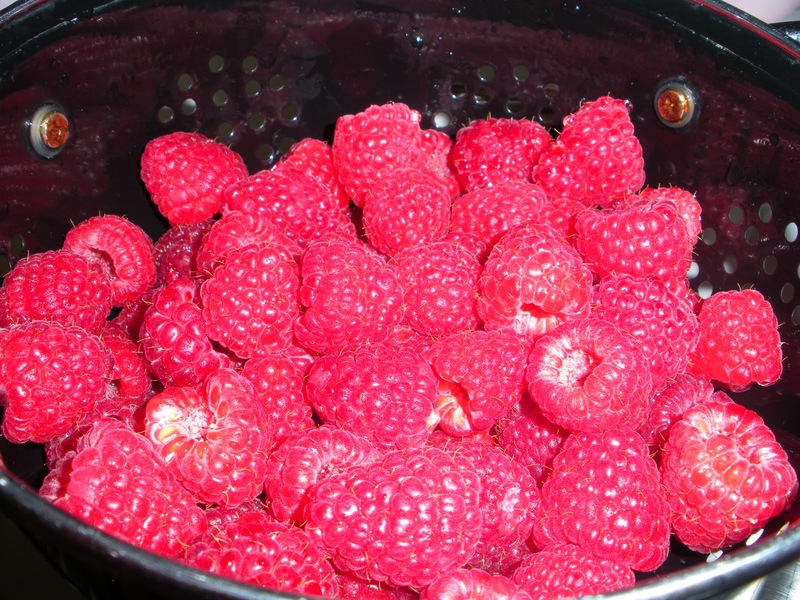 Now, let's talk about freezing fruit. Like I mentioned above, I love freezing fresh fruit. There is one super simple method to follow and then I'll tell you a way to make it even easier. (1) Rinse your fruit. Place it in a colander and run it under water. Next I like to use a vinegar rinse. I put equal parts white vinegar and water together in a bowl and then swish the fruit around in it. Dump the bowl back into your colander and rinse (well) again. I promise, the vinegar doesn't stick around. (2) Dry your fruit. You can spread it out on towels if you don't have time or just let it air dry in your colander if you do. (3) Freeze your fruit. Place the fruit individually on cookie sheets (not touching each other), cover with wrap and then place in the freezer for 24 hours. (4) Finish your fruit. Take the fruit and place it in freezer bags, toss it back in the freezer. Freezing your fruit individually in that method makes it easier to use just what you need. If you don't have the patience (or space) for that you can skip step 3 and place your fruit directly in freezer bags once it is dry. The quality isn't AS good. But it's still good! @beadinbabe ... nope! Amber, I am the worst at that stuff. The only way I can make it work is to modify it to my lifestyle, otherwise it doesn't happen at all. Definitely am all over the smoothies and tons of dinners/lunches made from fresh and raw foods. But... there is major cheating going on! Yeah I think I will have to do the same thing or will never work for me either. But I do need to change something, and quick! Not only have I gained 8lbs over the Holiday (a lot for a 5'1 girl! lol) but I feel awful, no energy at all..I'm hoping these smoothies do the trick! I am so with you! It's amazing how awful a person can feel when eating the wrong foods. So far I feel a lot better. I cut out sugar and that made an immediate difference.